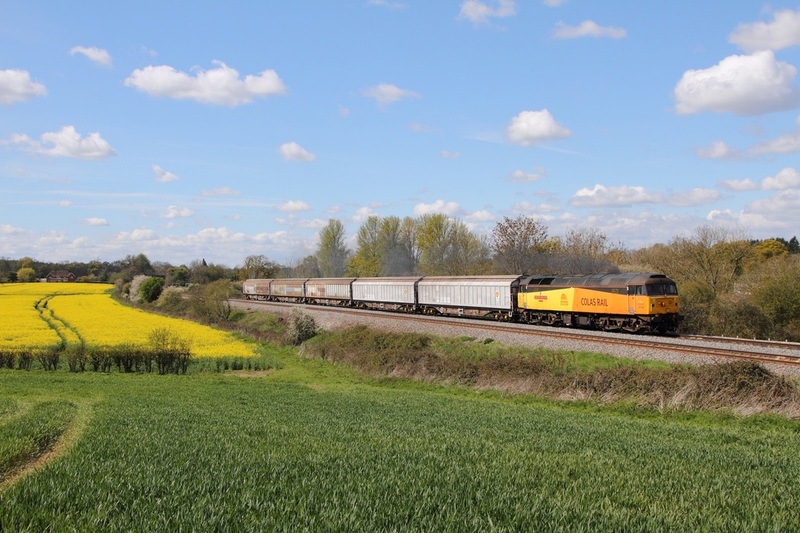 Colas Rail liveried 47739 hauls 5 KVAs on the 6S47 Eastleigh yard to Derby at Mortimer on the 28th April 2016. 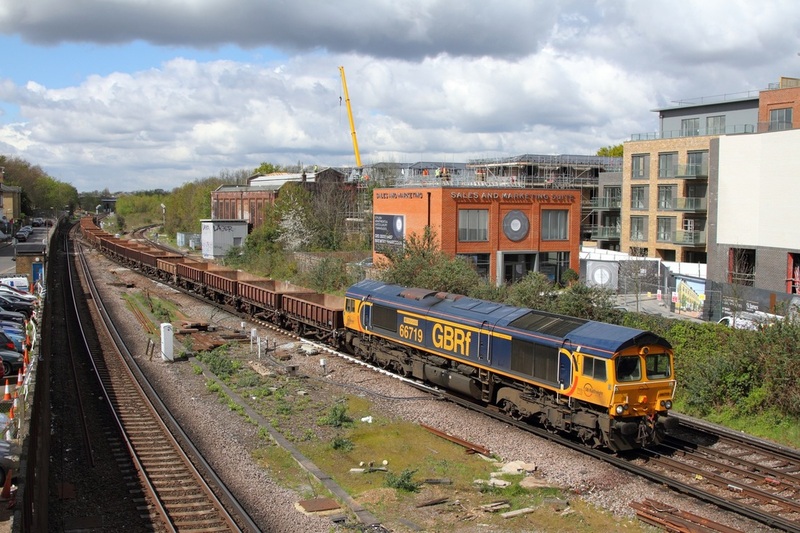 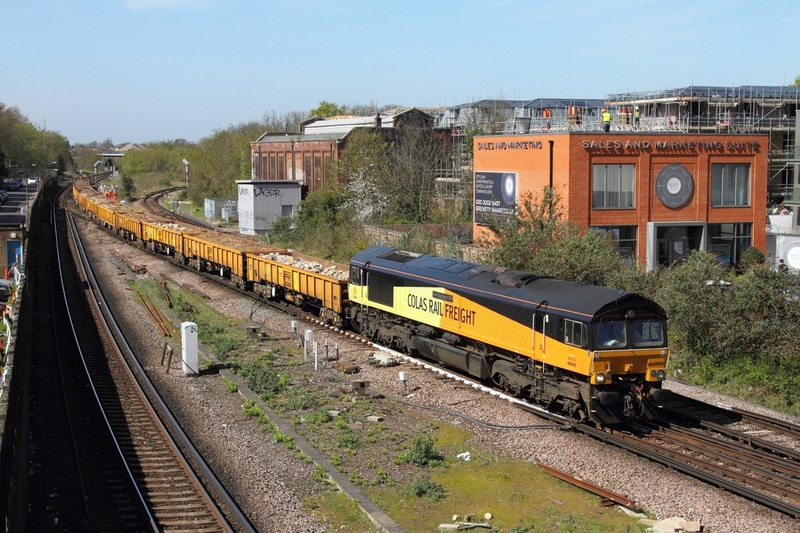 GBRf 66719 works the 6Y48 Eastleigh yard to Hoo junction at Twickenham on the 26th April 2016. 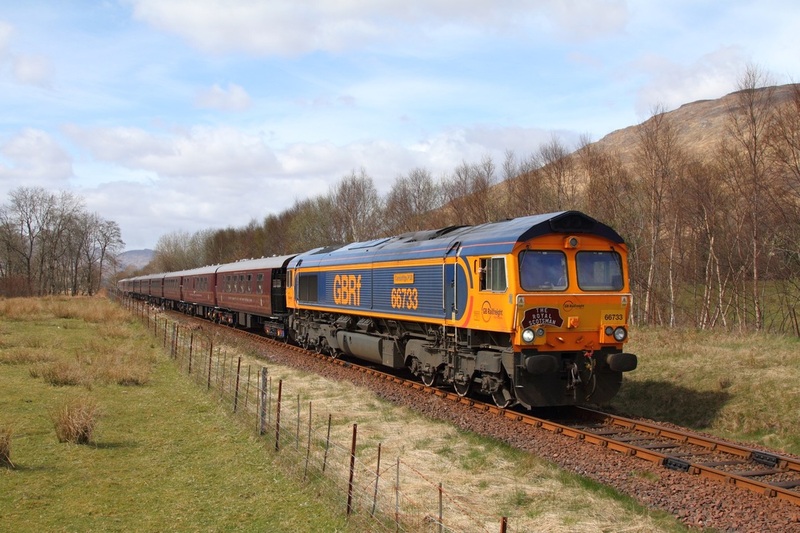 ​GBRf 66740 on the 6E45 Fort William to North Blyth at Horseshoe curve on the 25th April 2016. 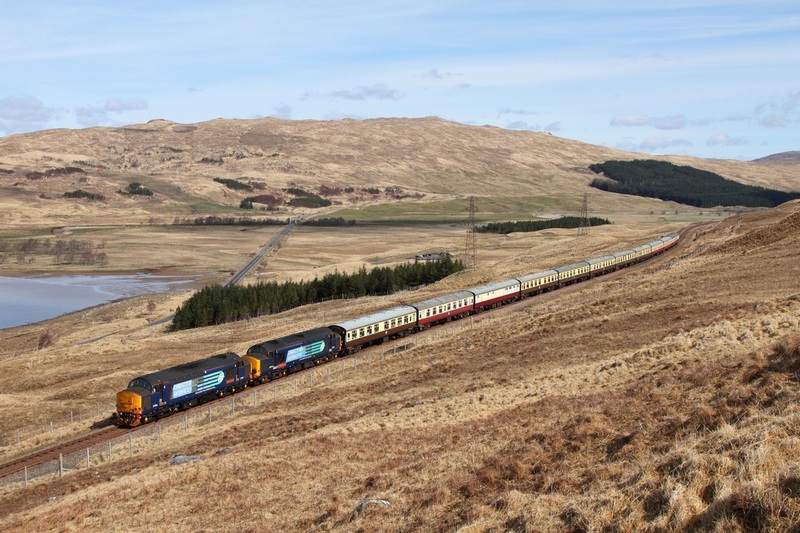 DRS 37409 leads 37610 on 1Z42 0825 Fort William to Carlisle at Horseshoe curve on the 25th April 2016. 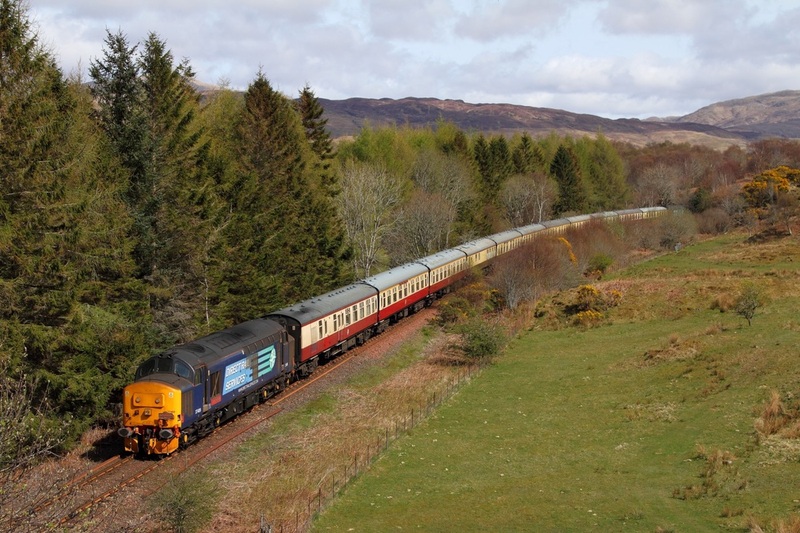 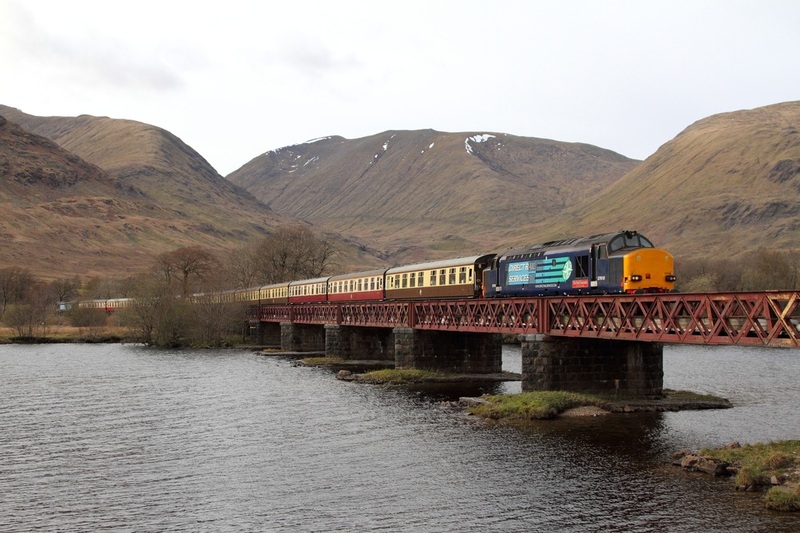 37610 leads 37409 on the 1Z41 1645 Oban to Fort William at Loch Awe on the 24th April 2016. 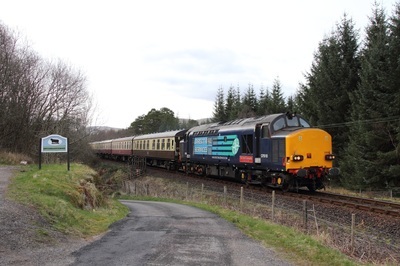 DRS 37409 leads 37610 on the 1Z40 0930 Fort William to Oban at Connel Ferry on the 24th April 2016. 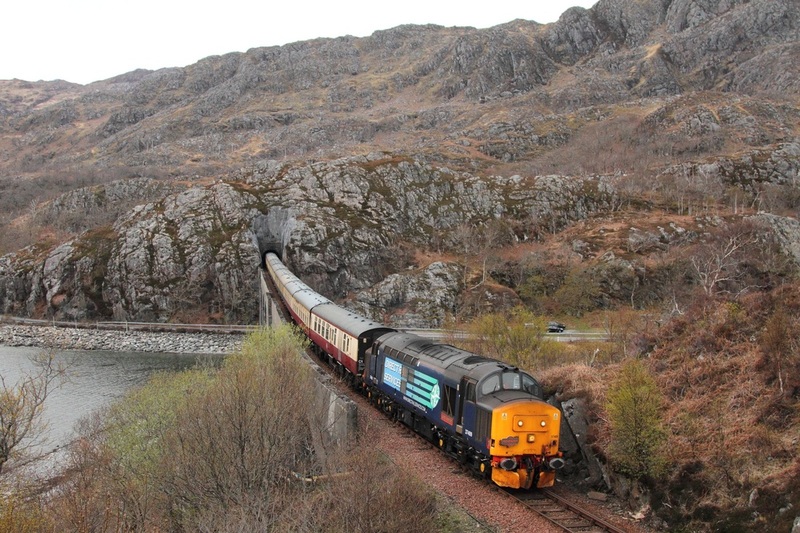 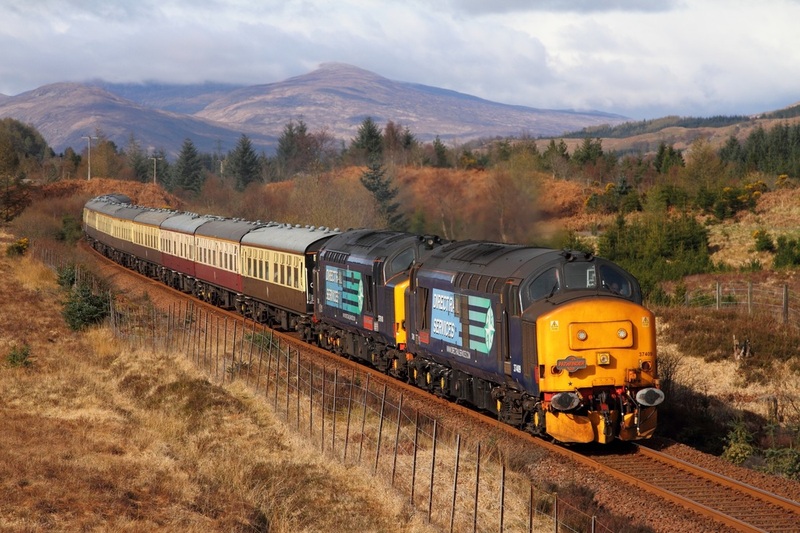 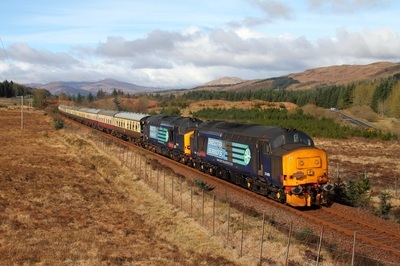 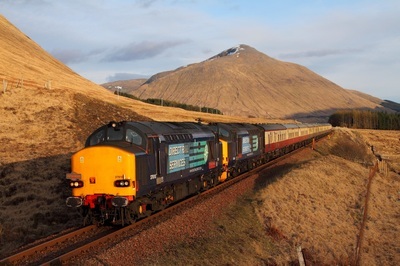 37409 leads 37610 on the 1Z40 0930 Fort William to Oban at Achallader on the 24th April 2016. 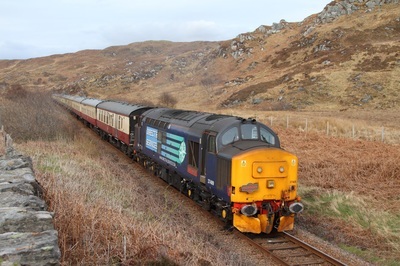 DRS 37409 leads 37610 on the 1Z40 0930 Fort William to Oban at Achnabobane on the 24th April 2016. 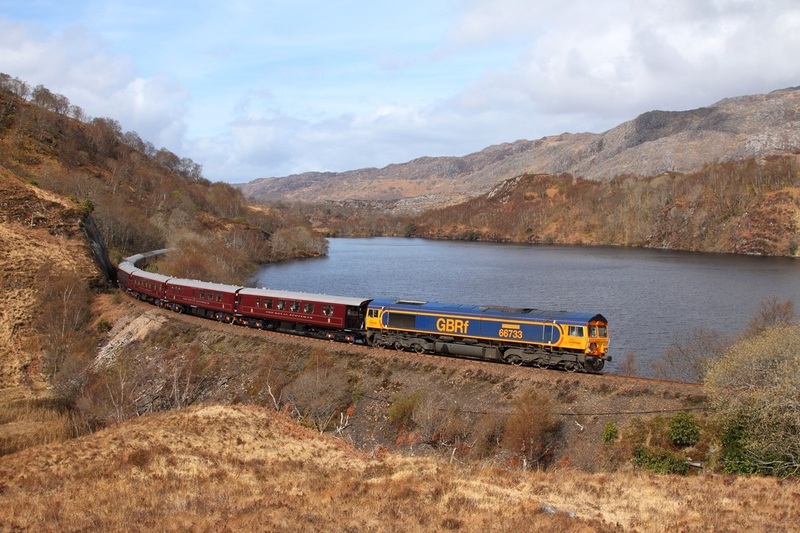 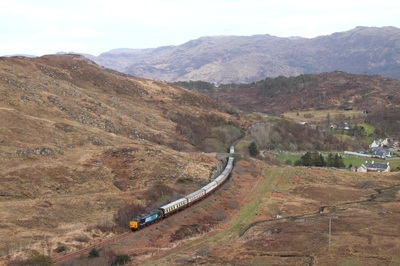 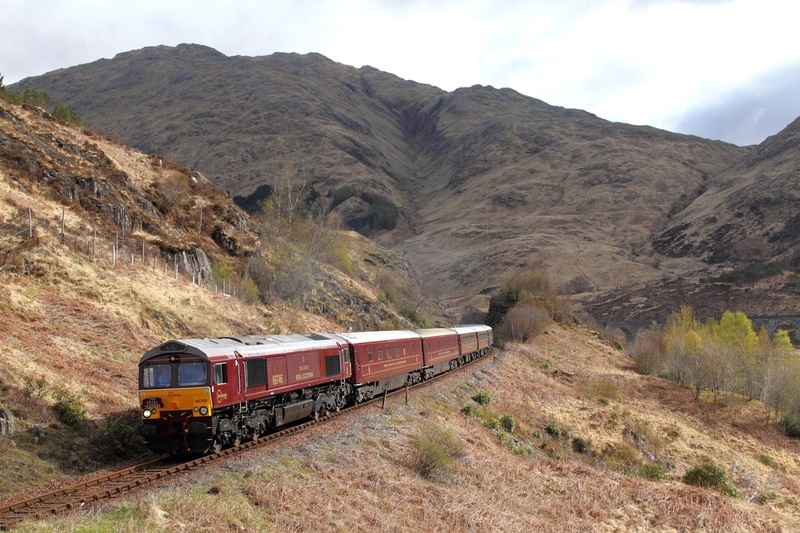 66746 leads 66733 on the 1H86 0823 Spean Bridge to Fort William via Mallaig at Glenfinnan on the 23rd April 2016. 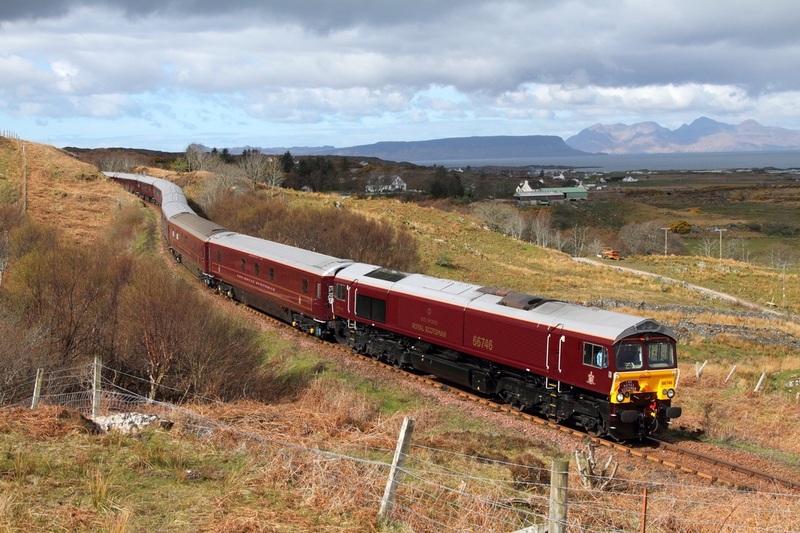 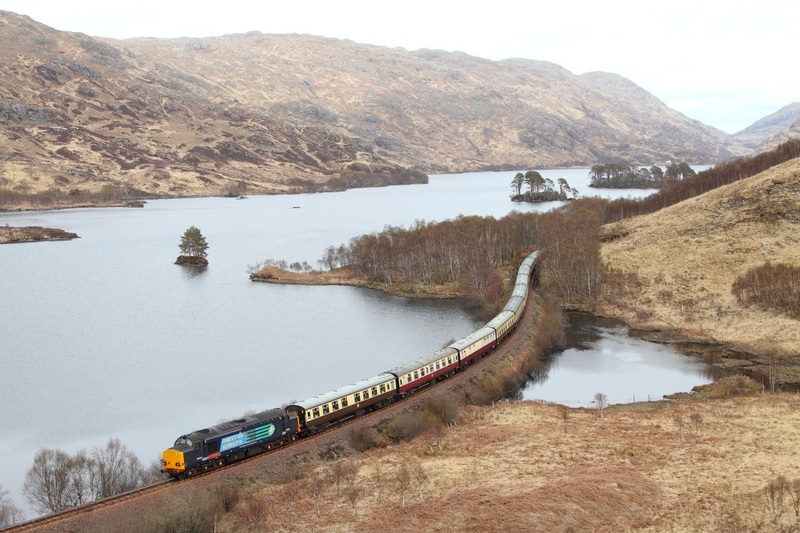 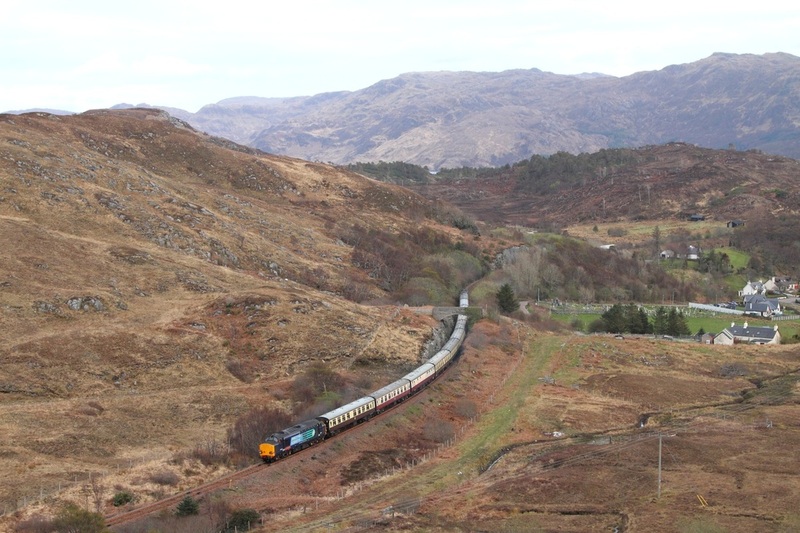 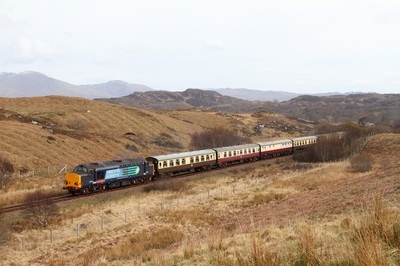 ​DRS 37610 leads 37409 on the 1Z38 Fort William to Mallaig at Loch Elit on the 23rd April 2016. 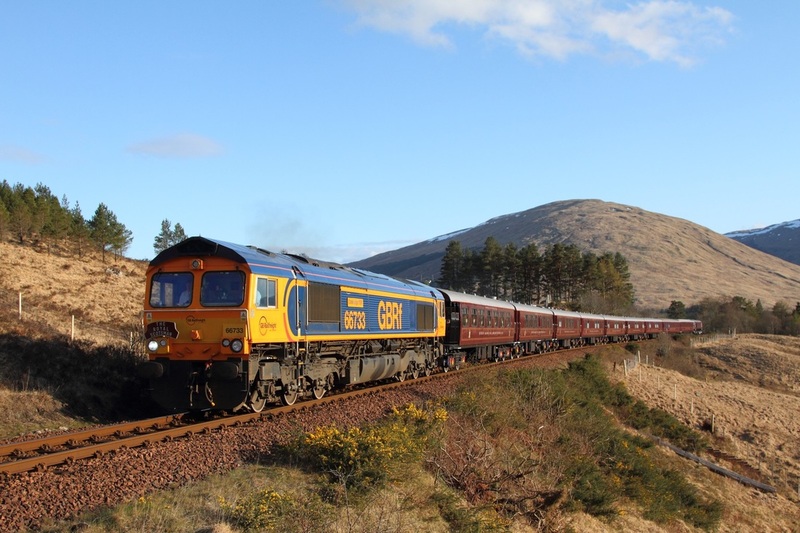 GBRf 66733 leads 66746 on the 1H86 0823 Spean Bridge to Fort William via Mallaig returning at Loch Dubh on the 23rd April 2016. GBRf Royal Scotsman liveried 66746 leads 66733 on the 1H86 0823 Spean Bridge to Fort William via Mallaig at Kinloid on the 23rd April 2016. 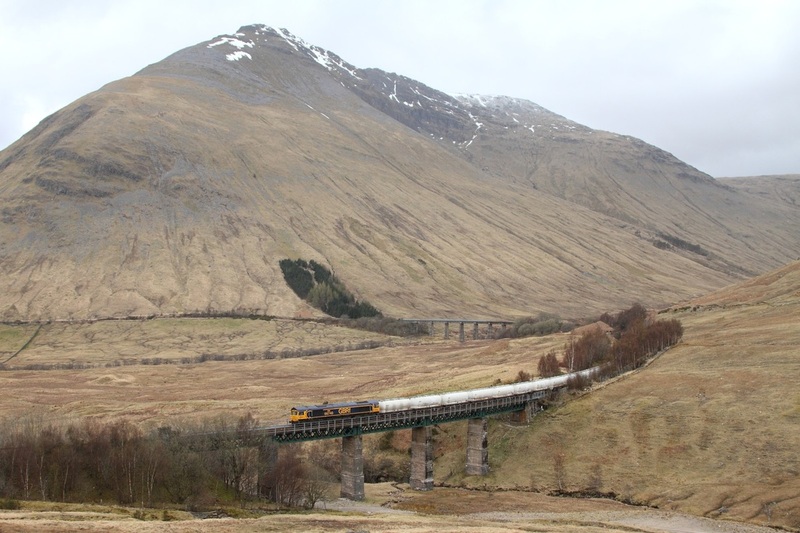 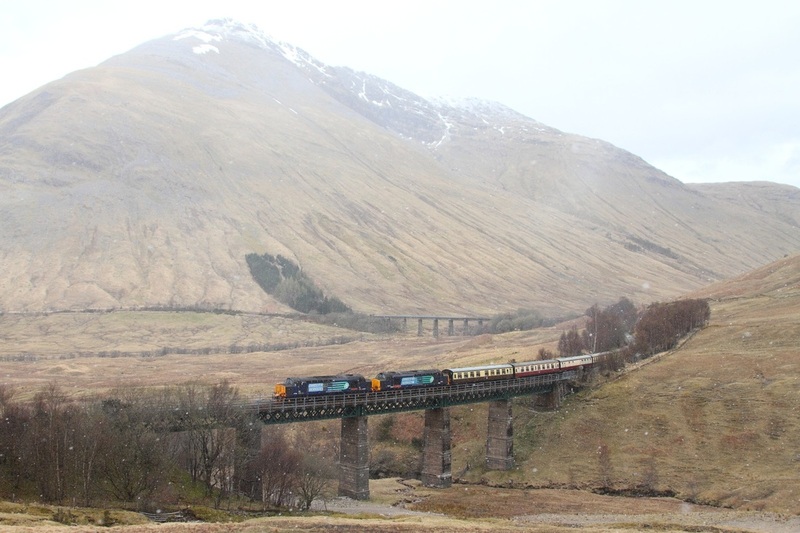 66733 leads 66746 on the 1H85 1344 Edinburgh to Spean Bridge away from Bridge of Orchy on the 22nd April 2016. 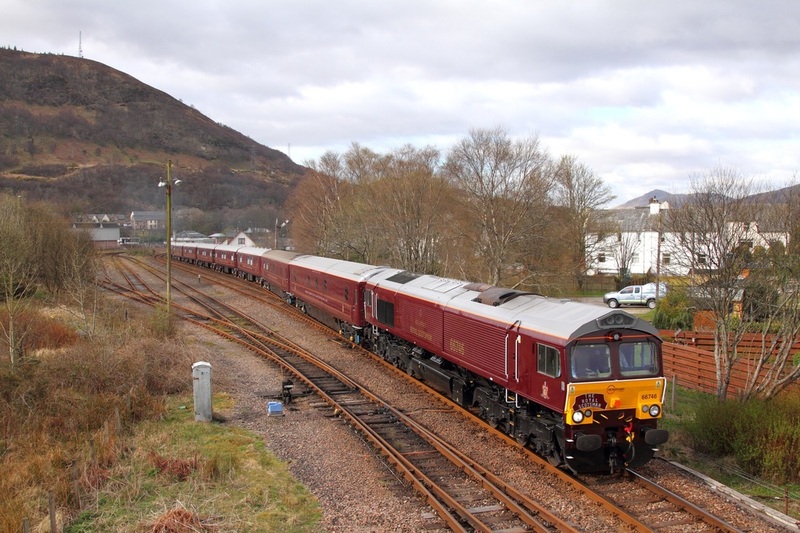 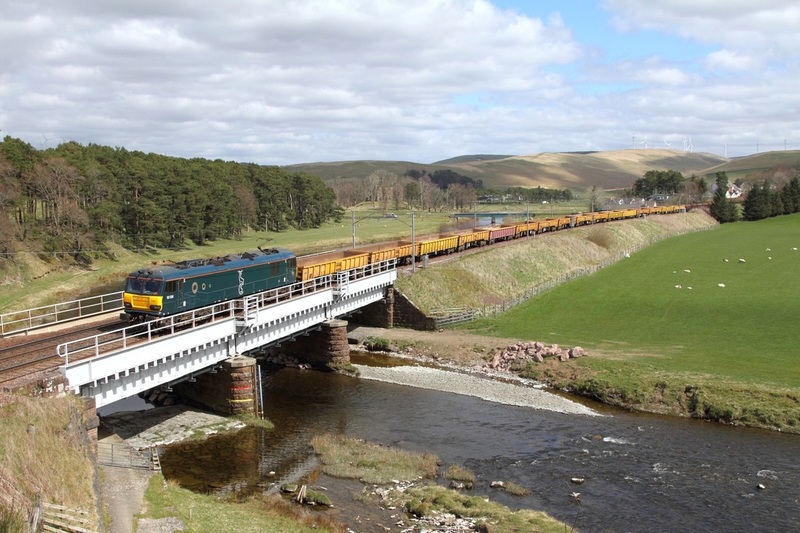 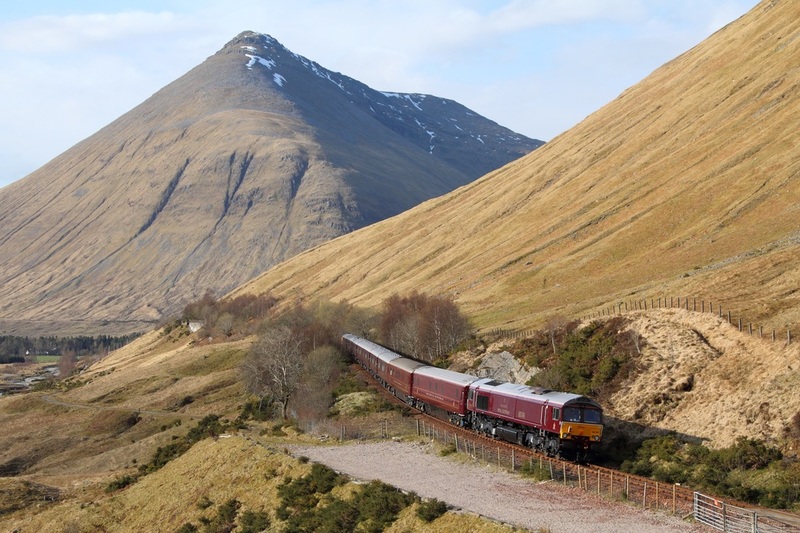 Royal Scotsman liveried 66746 trails 66733 on the 1H85 Edinburgh to Spean Bridge at County March Summit on the 22nd April 2016. 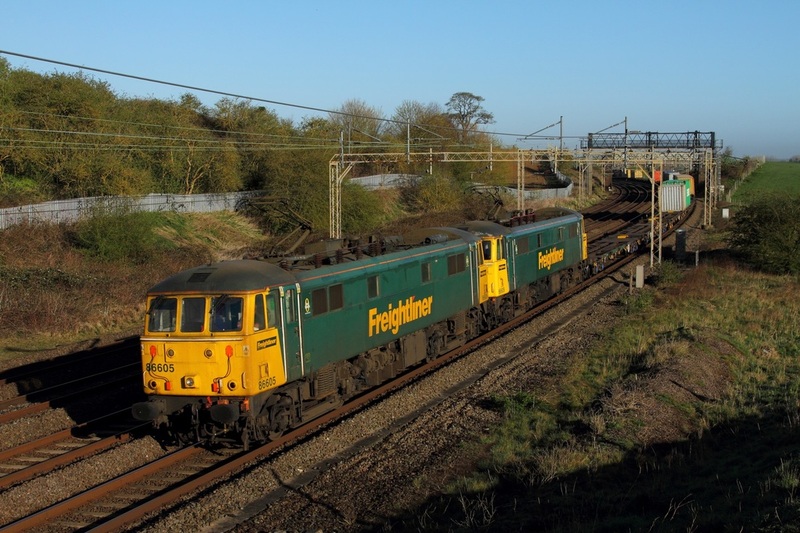 GBRf Europorte 92038 in Caledonian sleeper livery works the 6S51 Carlisle yard to Mossend at Crawford on the 22nd April 2016. 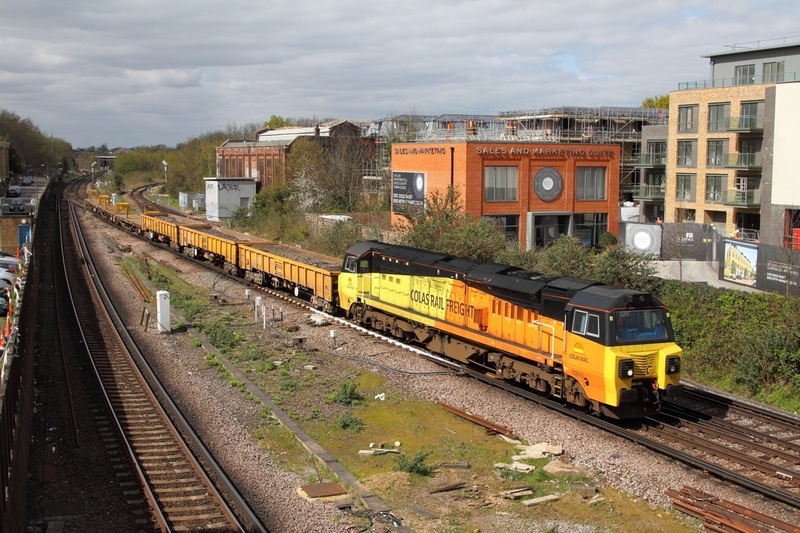 Colas Rail 66850 leads the 6Y48 Eastleigh to Hoo at Twickenham on the 20th April 2016. 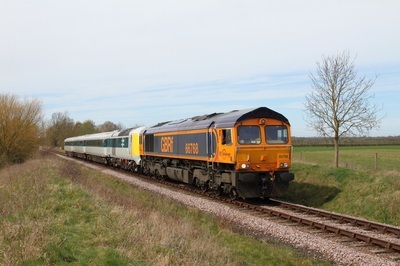 86605 leads 86609 on the 4L89 Coatbridge to Felixstowe at Old Linslade on the 20th April 2016. 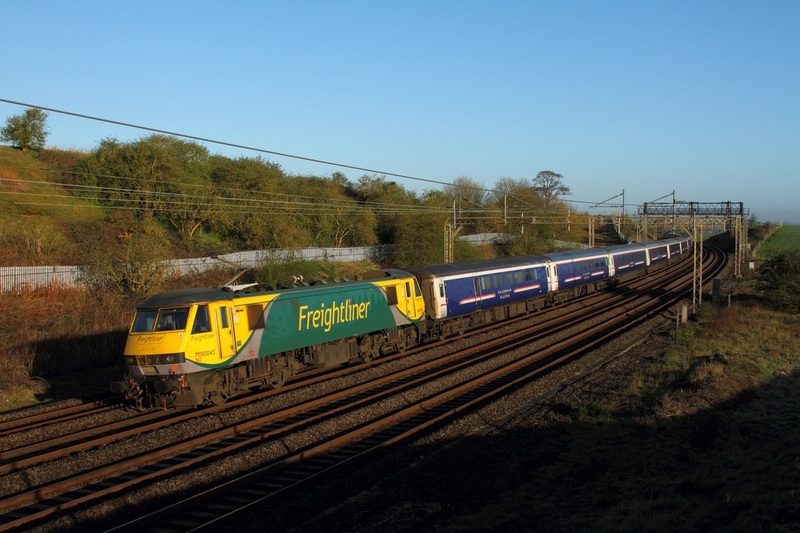 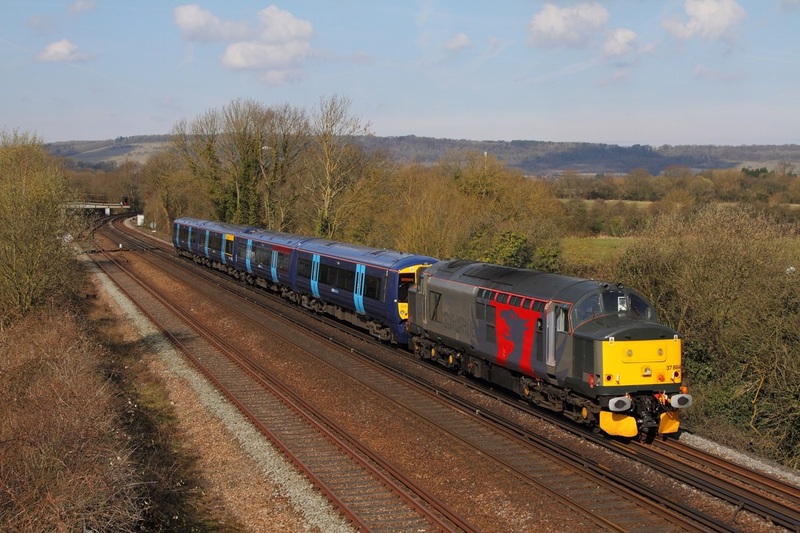 Freightliner Power haul 90045 leads the 1M16 Inverness to London Euston sleeper at Old Linslade on the 20th April 2016. 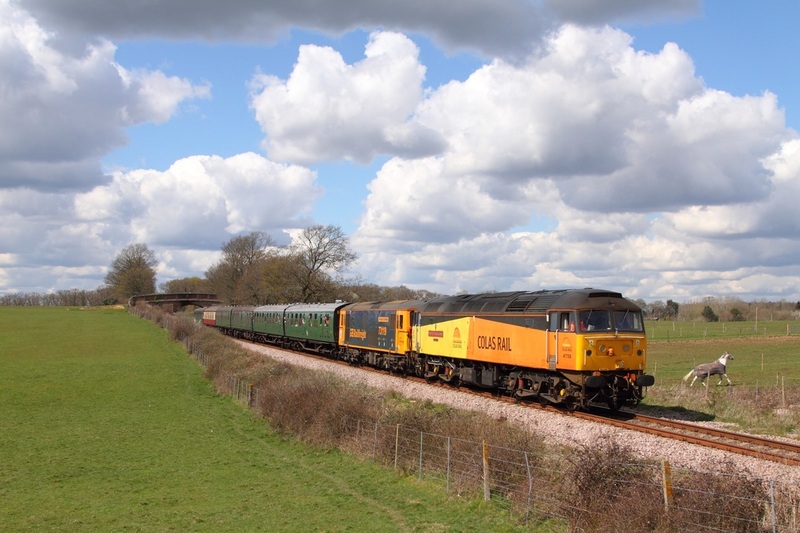 Colas Rail liveried 70810 powers the 6Y48 Eastleigh to Hoo junction at Twickenham on the 19th April 2016. 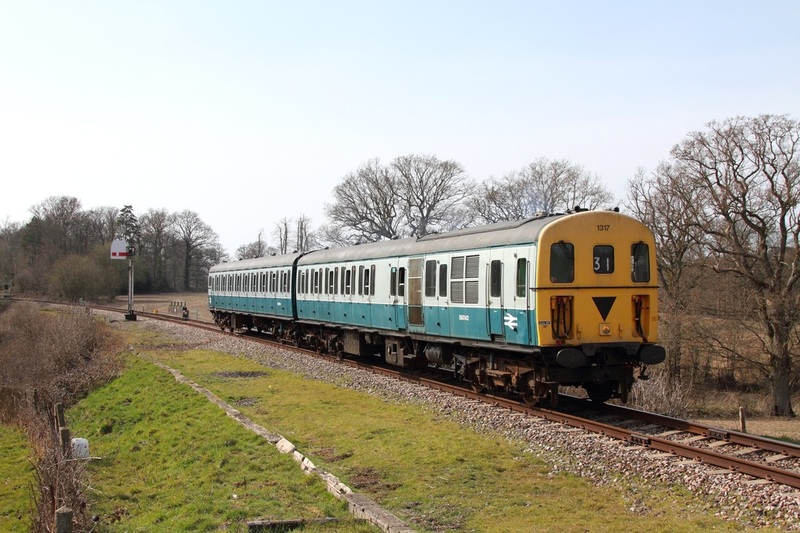 09017 on the 1400 Sheffield Park to Horsted Keynes at Freshfield on the 17th April 2016. 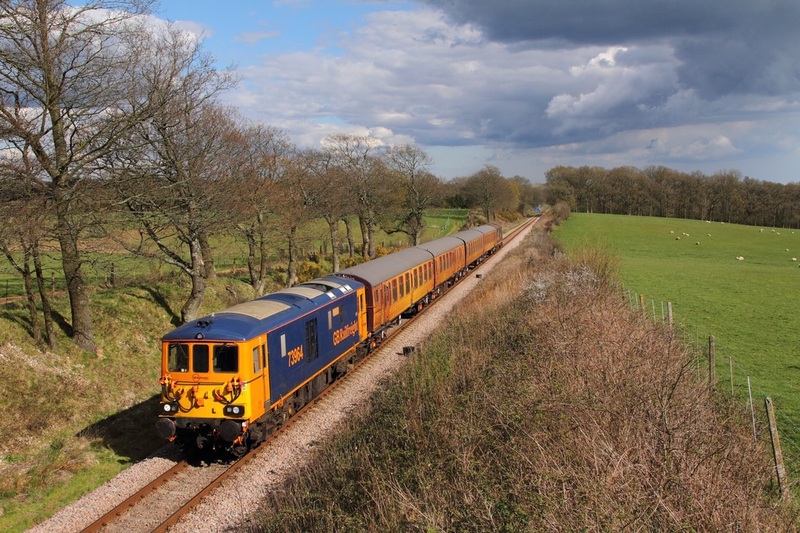 66770 leads 73136 on the 1230 Sheffield Park to East Grinstead at Freshfield on the 17th April 2016. 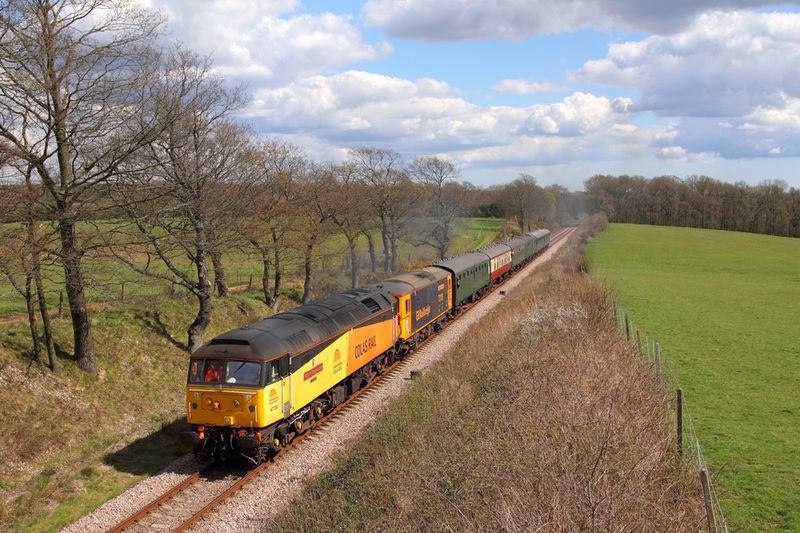 66770 hauls 73136 on the 1100 East Grinstead to Sheffield Park on the 17th April 2016. 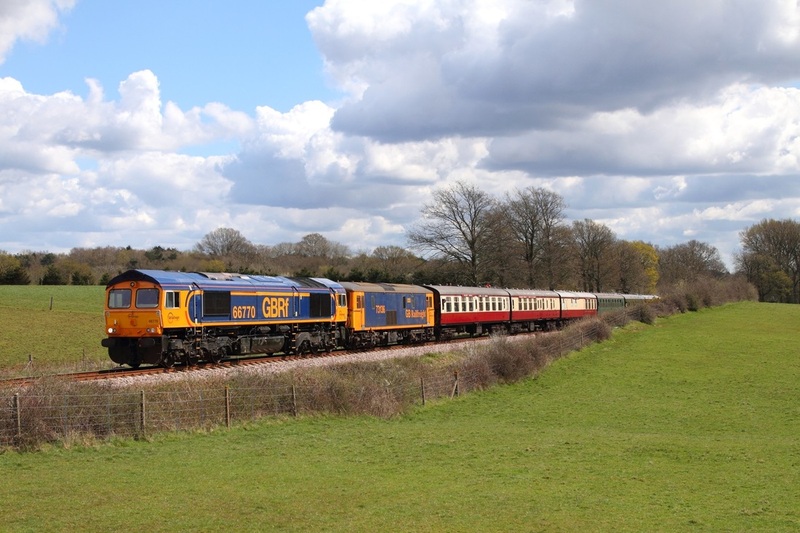 47739 leads 73119 on the 1420 Sheffield Park to East Grinstead at Freshfield on the 17th April 2016. 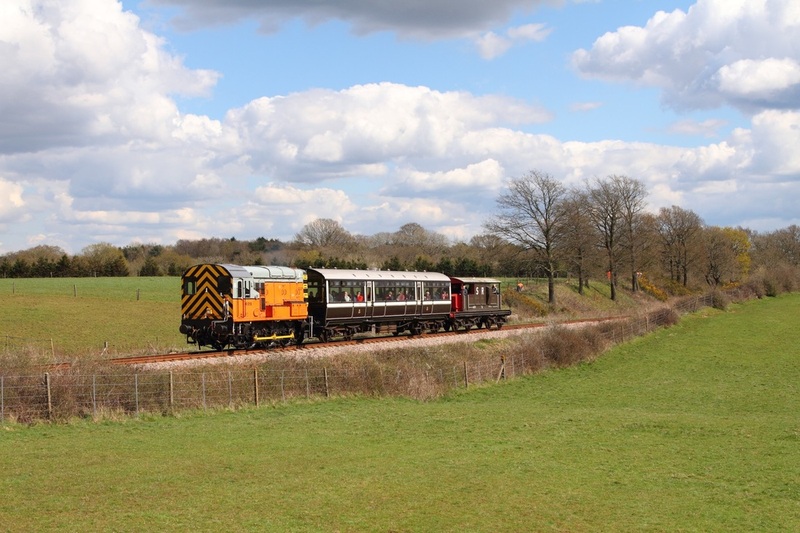 09018 powers the 1210 Horstead Keynes to Sheffield Park at Freshfield on the 17th April 2016. 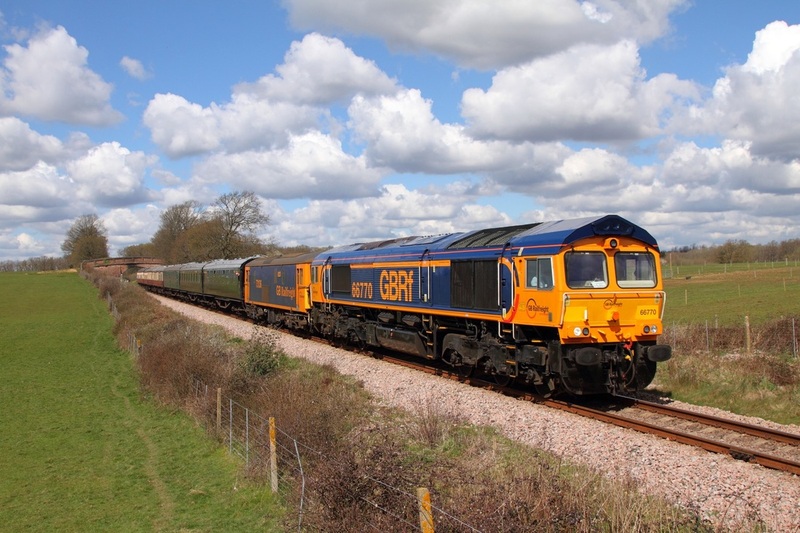 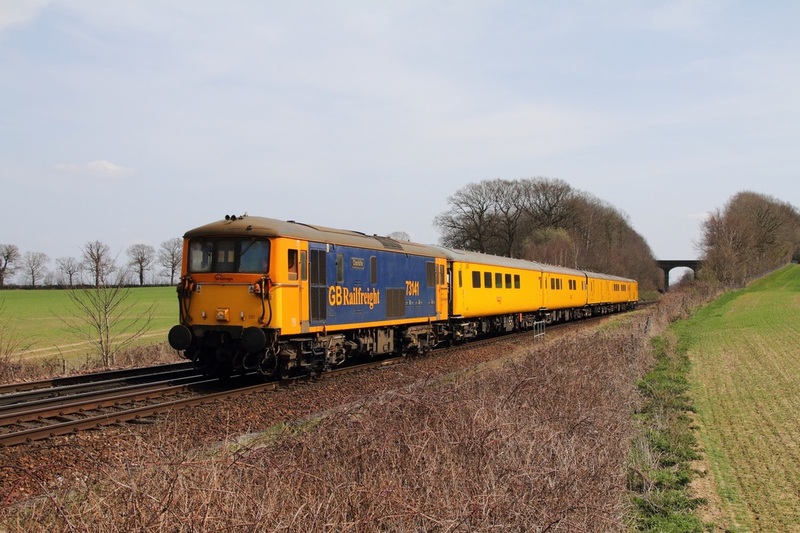 GBRf 73964 leads 73107 on the 1610 Sheffield Park to East Grinstead at Freshfield on the 17th April 2016. 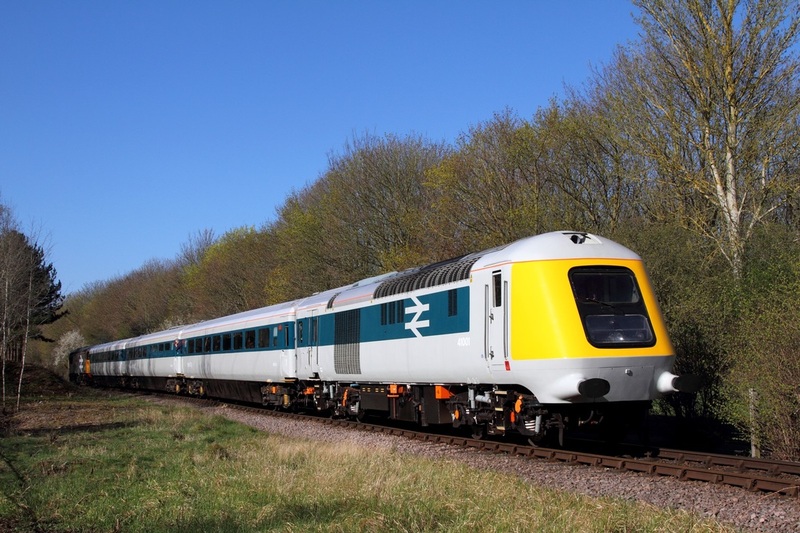 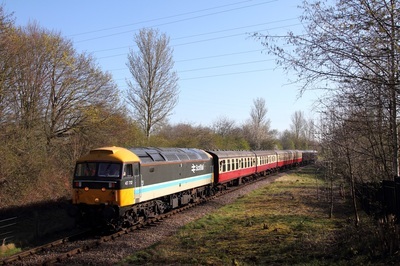 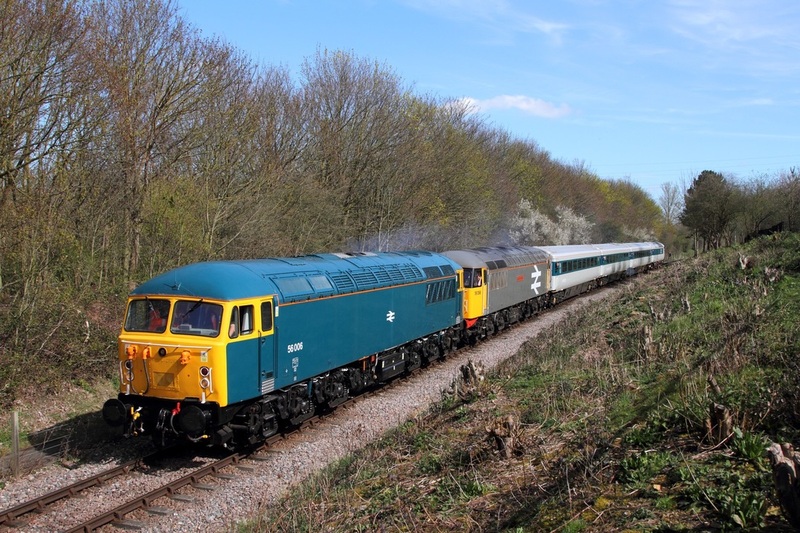 ​47739 leads 73119 on the 1300 East Grinstead to Sheffield Park at Freshfield on the 17th April 2016. 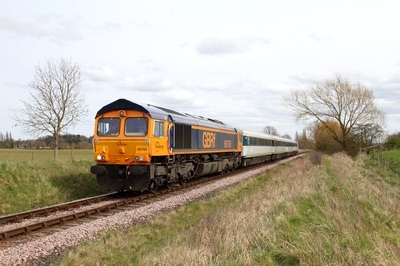 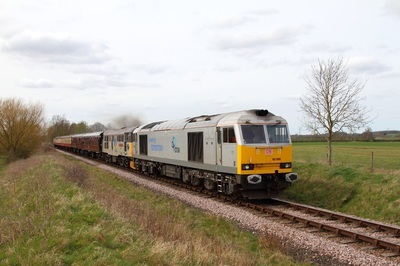 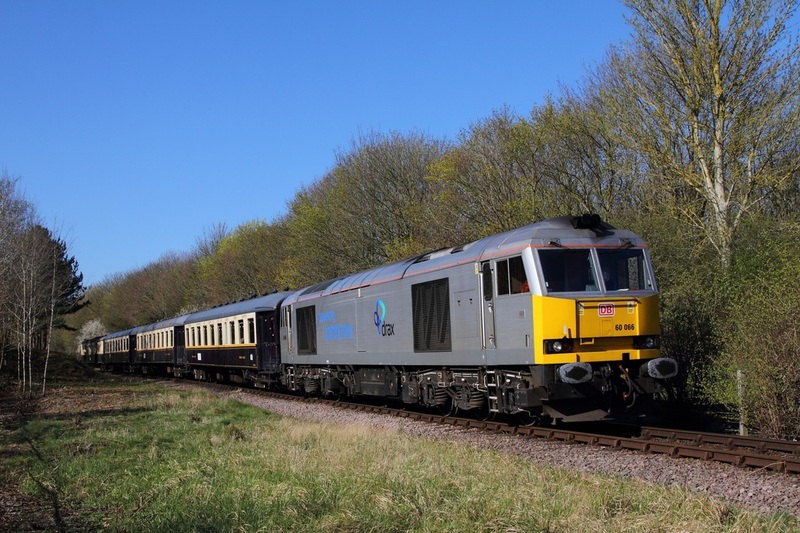 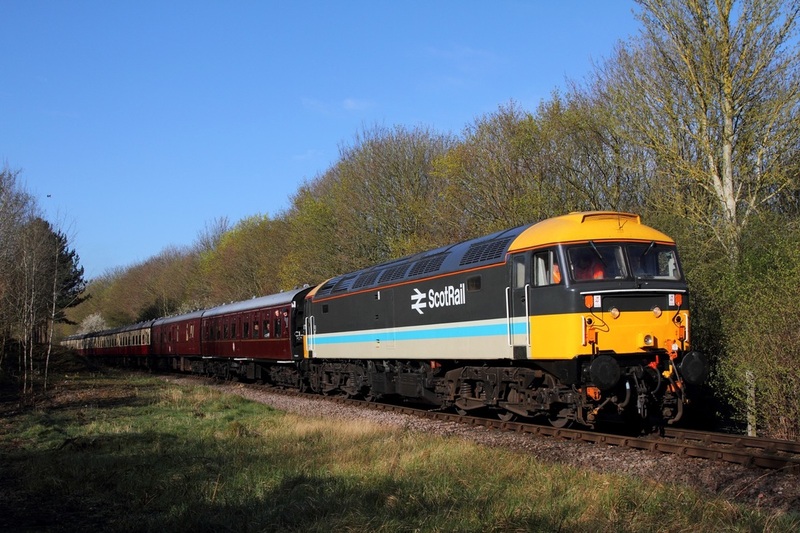 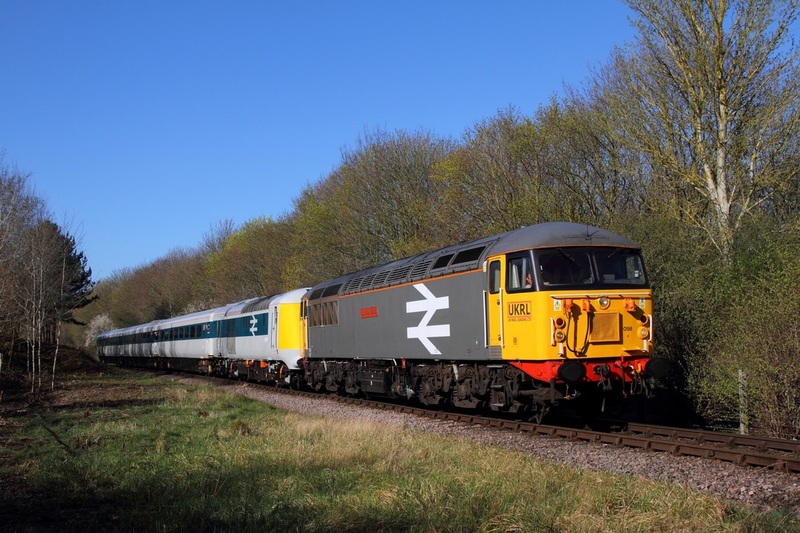 56006 leads 56098 tnt 41001 on the 1M46 1130 Peterborough to Wansford at Orton Mere on the 10th April 2016. 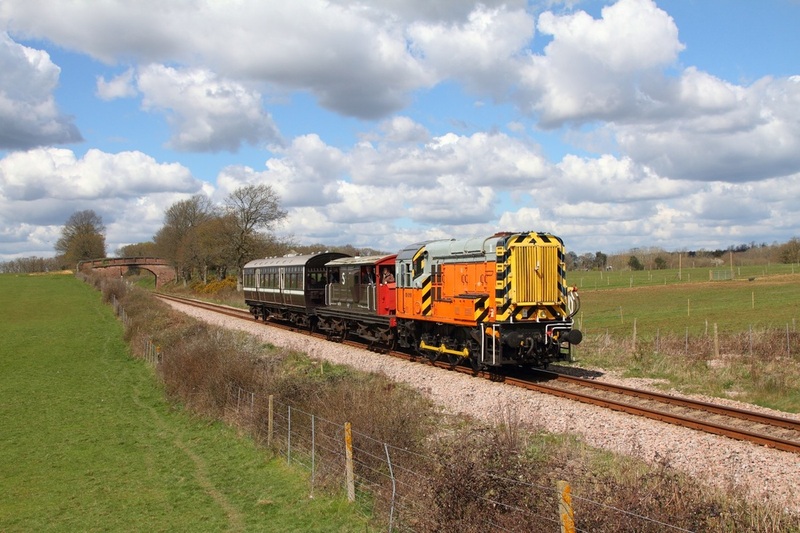 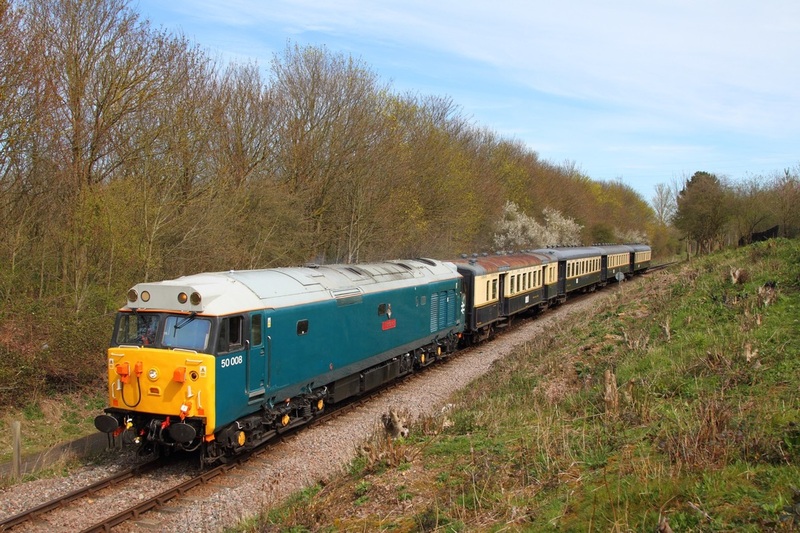 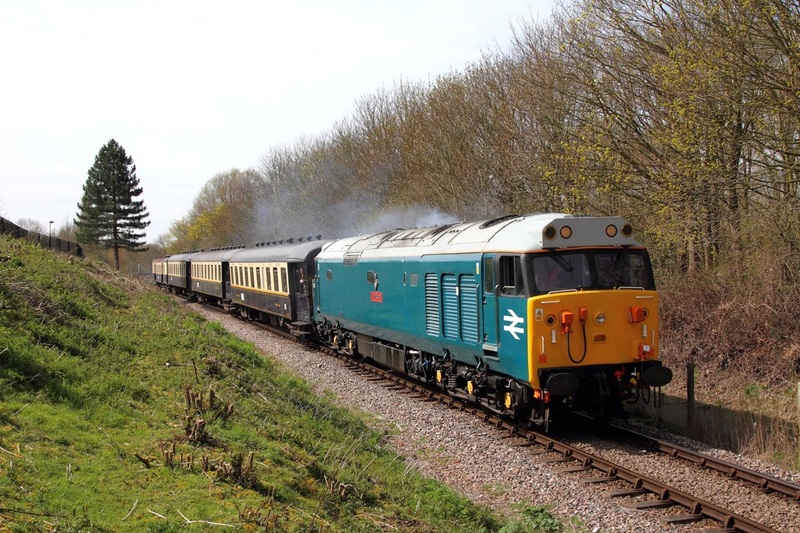 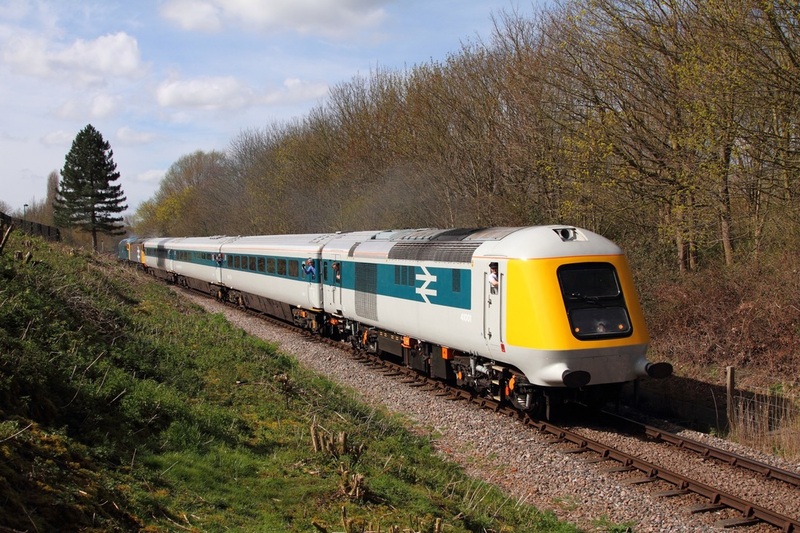 DC Rail 31452 leads the 2E42 1002 Wansford to Peterborough away from Orton Mere on the 10th April 2016. 60066 works the 1E44 0924 Wansford to Peterborough away from Orton Mere on the 10th April 2016. 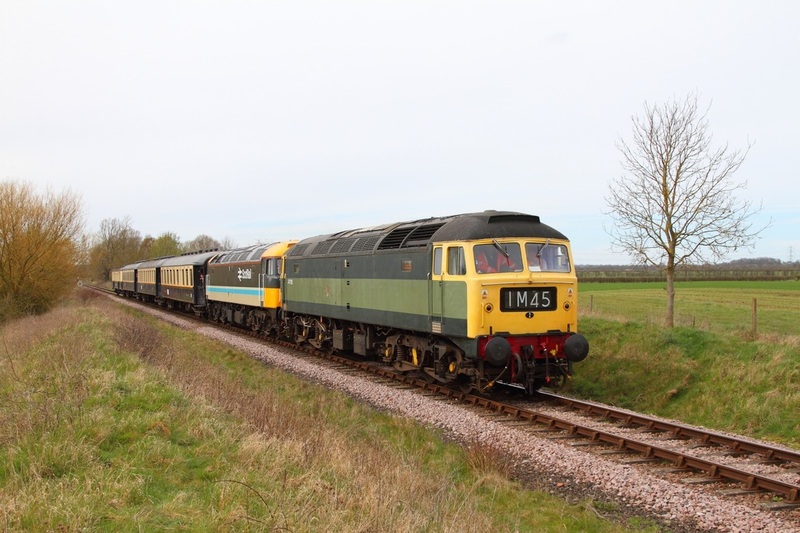 41001 leads 56098 and 56006 on the 1E46 1042 Wansford to Peterborough departing Orton Mere on the 10th April 2016. 41001 tailing 56098 on the 2M42 0930 Peterborough to Wansford nearing Orton Mere on the 10th April 2016. 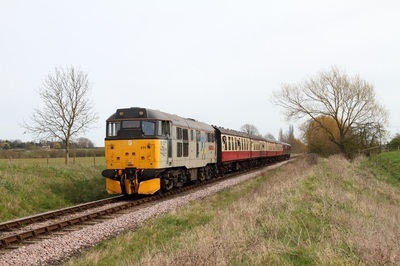 56098 leads 41001 working the 2E42 0840 Wansford to Peterborough away from Orton Mere on the 10th April 2016. 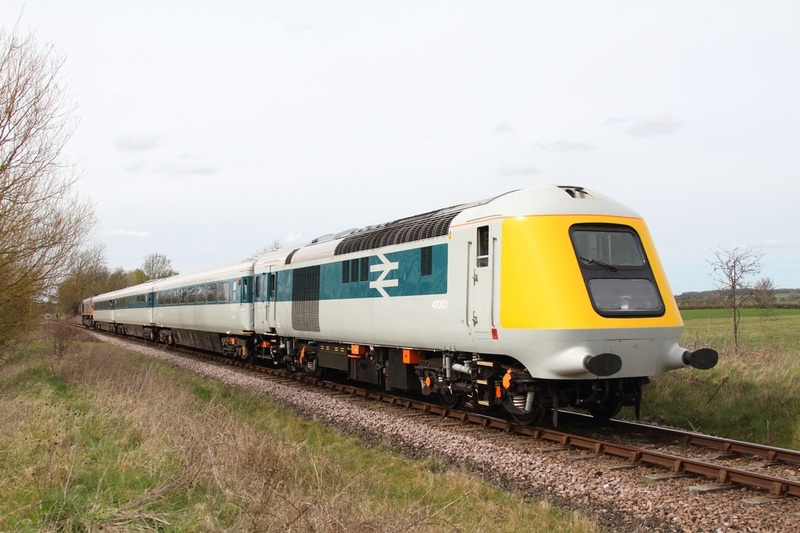 Scotrail liveried 47712 powers away from Orton Mere working the 2E43 0820 Wansford to Peterborough on the 10th April 2016. 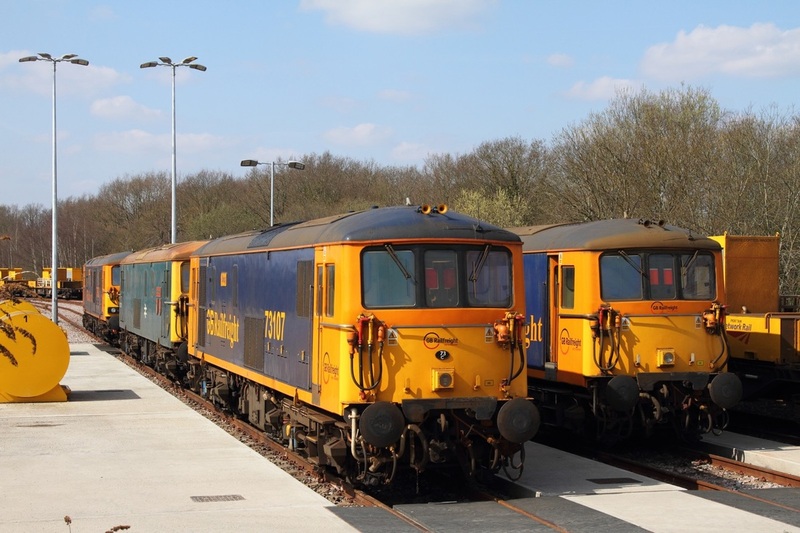 73107+73136+73201+73962 are all stabled at Tonbridge yard on the 1st April 2016. 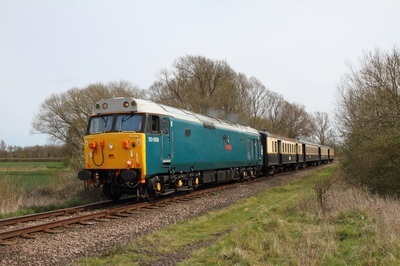 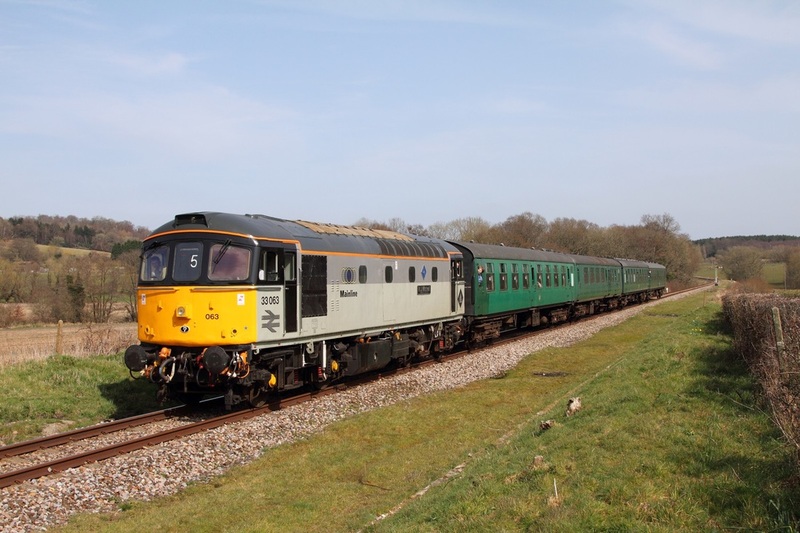 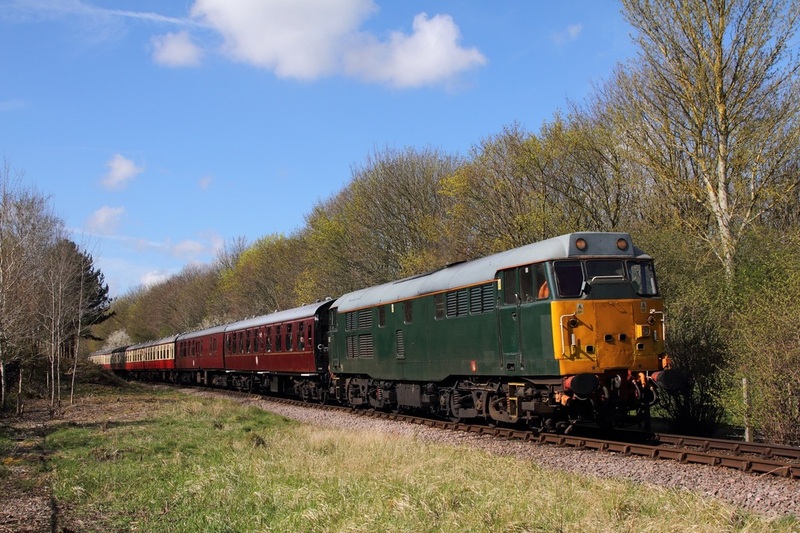 ​37884 leads 375611 on the 5Q58 Derby to Ramsgate at Otford junction on the 1st April 2016.